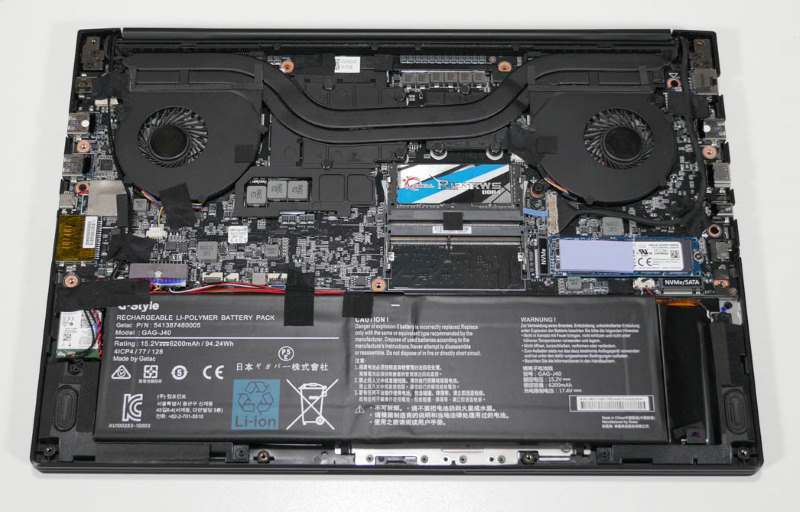 When we first tested thin-and-light Max-Q gaming laptops last year, we had a clear favorite: Gigabyte’s Aero 15X-BK6. Read our Gigabyte Aero 15X V8-BK4 Review. 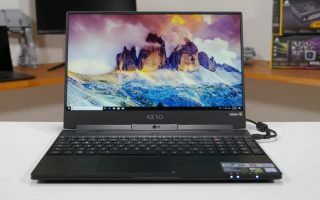 All the Max-Q laptops we’ve tested scored within a few percentage points of each other, benchmarks-wise, but the Aero 15X stood apart thanks to its 5mm bezel, which allowed a 15.6-inch screen to fit in a 16-inch chassis. 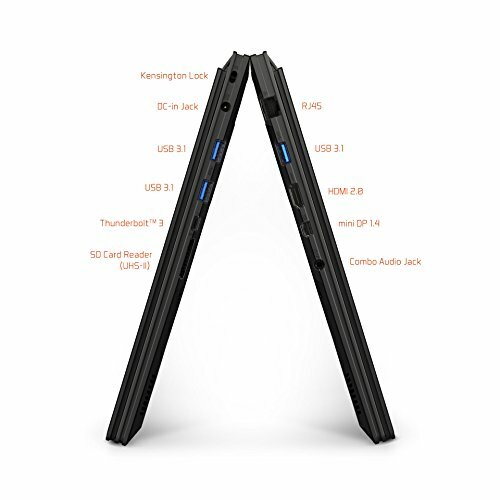 This made a world of difference when it came to the quality that thin-and- light laptops value most: portability. 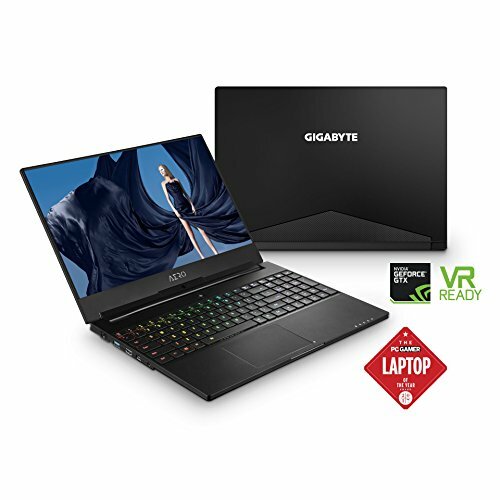 This year, Gigabyte has updated and upgraded the Aero 15X, officially called the Aero 15X v8-BK6, with several key features—most notably Intel’s new mobile Coffee Lake CPU, the Core i7-8750H. 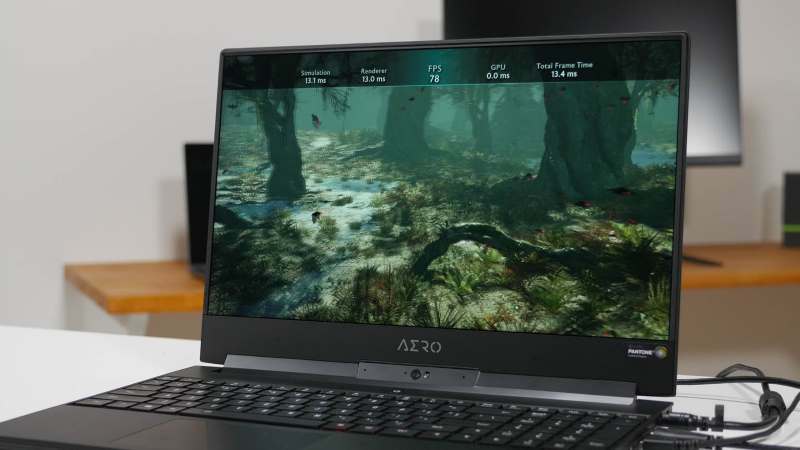 This new CPU, which will be the backbone of most gaming laptops this year, marks a huge CPU performance increase over the previous generation, mainly due to moving from four to six cores, making it one of the best gaming laptops you can buy. 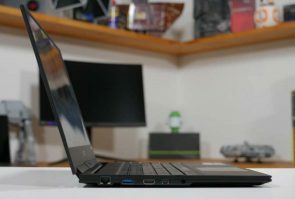 The i7-8750H’s extra cores show front and center in CPU-intensive benchmarks such as Cinebench R15, returning scores of 1,199 and 177 on the multicore and single-core tests respectively, up from 750 and 166 on the i7-7700HQ in last year’s Aero 15X, PCMark 10 Express and 3DMark: Fire Strike both benefited from the additional computing power as well, increasing their scores by about 600 points each to 4,639 and 12,786 respectively. Despite the better performance in CPU-intensive tasks, interestingly the updated Aero 15X performs about 5-10 percent worse than its predecessor in gaming benchmarks. Rise of the Tomb Raiders three-part benchmark average dropped from 96 to 80 fps, while Total War: Warhammer II went from 57 to 56 fps, and Ghost Recon: Wildlands fell from 65 to 41. We re not really sure what to account the performance difference to. 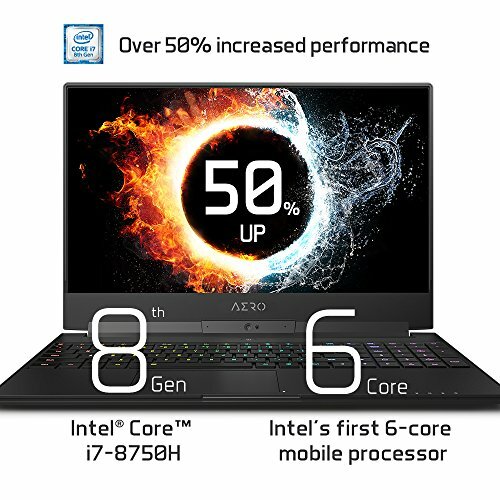 It’s possible the new system is held back slightly by the lower per-core clock speed of the i7-8750H. The other possibility is the 2018 model has a single stick of 16GB RAM, whereas the 2017 model featured dual-channel 2x 8GB. 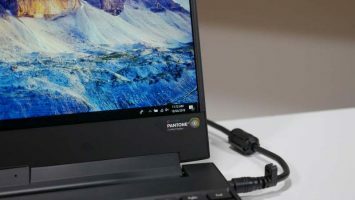 Either way, while the performance drop is unfortunate, it’s relatively negligible in the grand scheme of things—and can be recovered with a few settings tweaks— especially when you consider the upgrades to the rest of the machine. Speaking of which, the 2018 Aero 15X fixes one of our biggest gripes with last year’s system. The old model lacked anti-ghosting on the keyboard, which resulted in occasional but extremely frustrating double keypresses. The 2018 model fixes this. 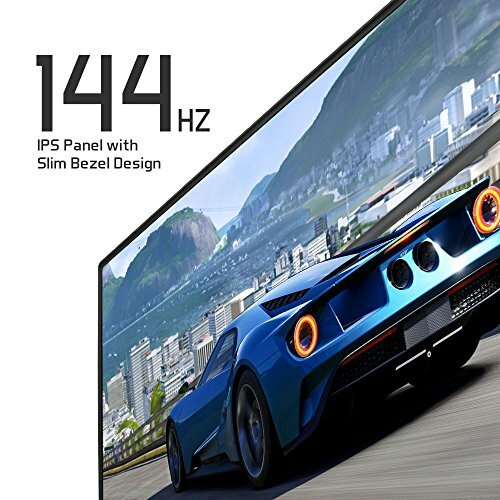 On another important front, the 2018 model’s screen is upgraded from a 60Hz to a 166Hz display—a major improvement. Design-wise, the chassis remains largely unchanged. 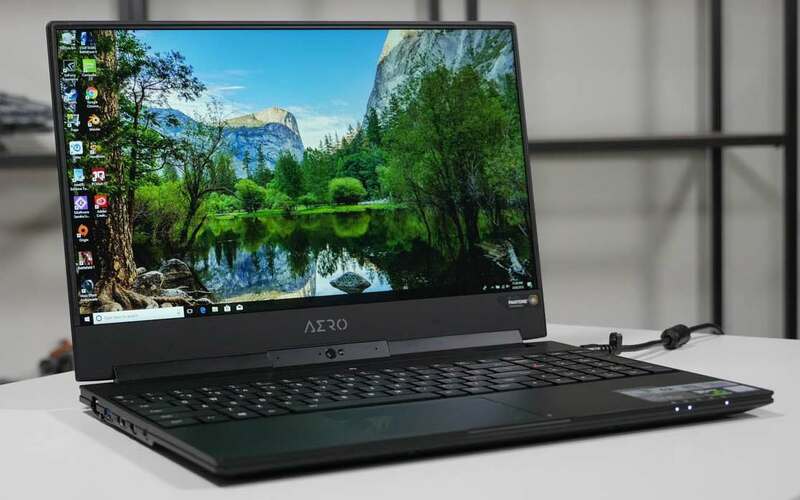 It still has the same 5mm-thin bezel that allows for a 15.6-inch screen in a 16-inch chassis, although that setup is slightly less exciting now that most laptops of this generation have followed suit. On that note, the Aero 15X’s primary competition is MSI’s GS65 Stealth Thin and the new and updated Razer Blade. Compared to those two, the Aero 15X offers a slightly more professional look, though we prefer the GS65’s metal chassis to the plastic feel and sharp edges of the Aero 15X’s aluminum shell. It’s also slightly better suited for professional uses—that is, toting to meetings. 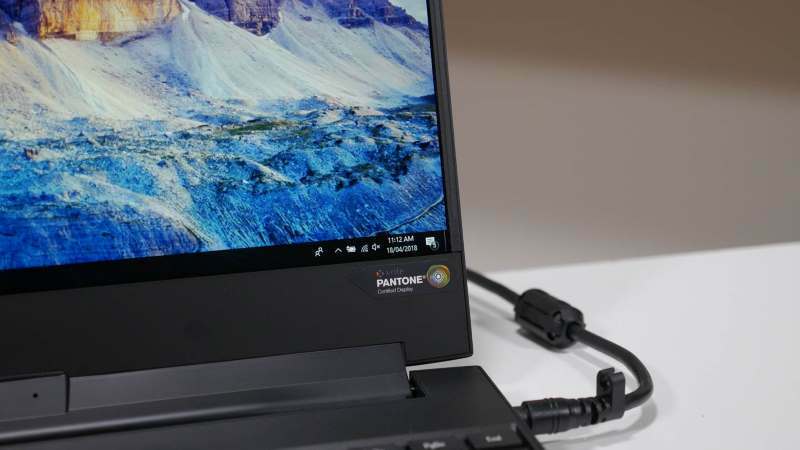 The GS65’s 82Wh battery lasted about four and a half hours on our streaming video battery test. 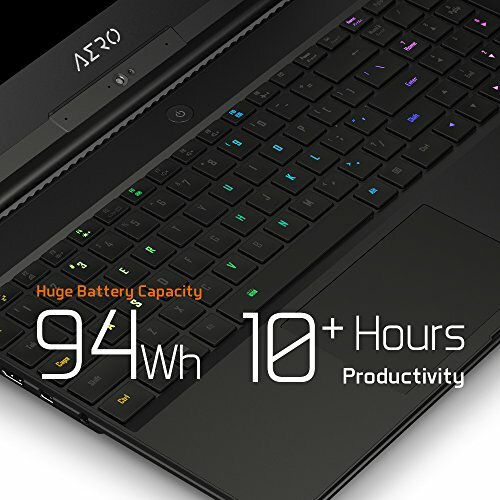 The Aero 15X, on the other hand, sports a 96Wh battery that lasted upward of six hours. 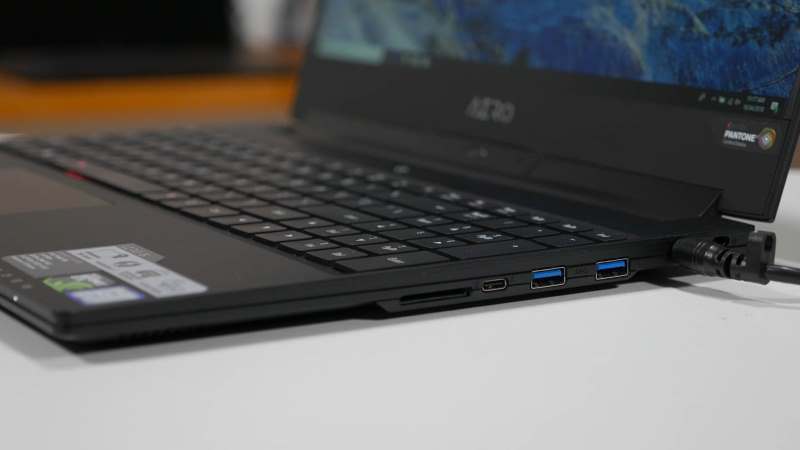 One other key difference is that the Aero 15X offers a 6K panel option—though we recommend sticking to the 1080p 166Hz panel if gaming is your primary concern. Wait, so is it Aorus or Gigabyte? 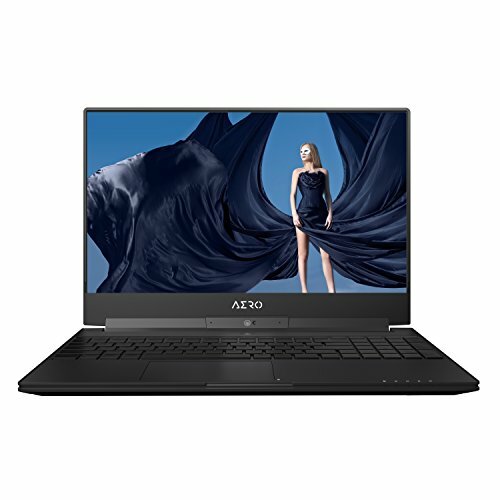 Our laptop zero-point is the Asus GL502VS-DS71, with an Intel Core i7-7700 HQ. on 8GB GTX 1070. and 16GB of DDR4-2400. All game tests performed at 1080p, at the highest graphical profile.